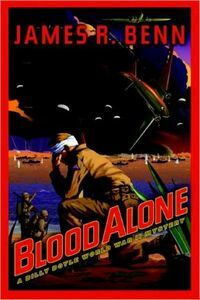 Blood Alone by James R. Benn: Synopsis and Online Purchase Options. Synopsis (from the publisher): Billy Boyle awakens in a field hospital in Sicily with amnesia. In his pocket is a yellow silk handkerchief embroidered with the initial L. He must struggle to learn his identity while staying one step ahead of the shadowy figures pursuing him. Gradually he remembers: he has been sent ashore in advance of the troops with this token from Lucky Luciano to contact the head of the Sicilian Mafia. But he must also thwart a murderous band of counterfeiters of Army scrip led by Vito Genovese.